Peter Chaillé grew up exploring the forests and fishing the waters of the Pacific Northwest and Alaska. He received his BS in Aquatic Biology, MA in Comparative Physiology, and PhD in Ecology, Evolution and Marine Biology from the University of California, Santa Barbara. Peter is an Assistant Professor at Portland State University and holds a research appointment at UCSB. His work included studies of nearshore rockfish in the Pacific Rim, examinations of the effects of environmental changes on marine organisms, research collaborations with public agencies, companies and nonprofit organizations on sustainable use of marine and forest resources, and more than a decade instructing sea kayaking and outdoor leadership. He serves on the board of the Alaska Chapter of the American Red Cross and volunteers as Fire Chief in Coffman Cove. Peter is a co-founder of the Tatoosh School and serves as the school’s Executive Director. 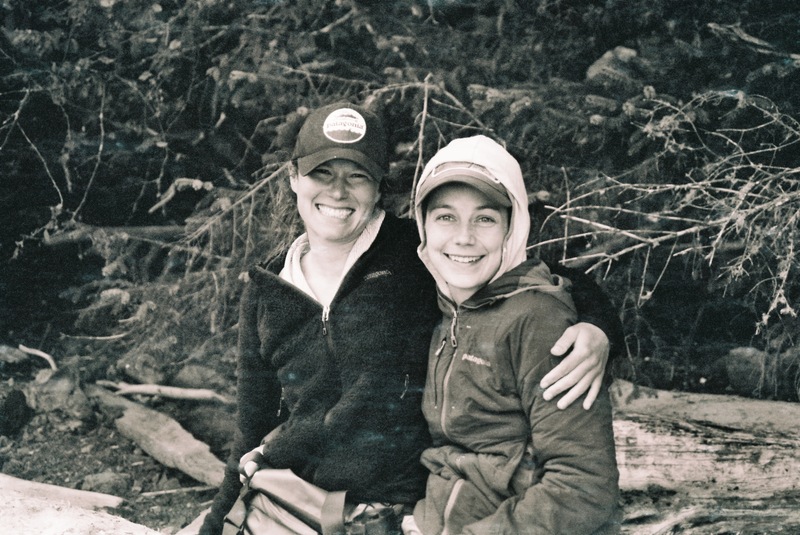 Erin Steinkruger was born and raised in the foothills of the Chugach Mountains in Anchorage, Alaska. She studied Political Science at Lewis & Clark College in Portland, and is currently pursuing a PhD in Public Affairs and Policy at Portland State University with research in environmental governance and educational leadership. Erin has paddled thousands of miles in Southeast Alaska, Baja California and Chile, and her work with nonprofits in the rural communities and wild lands of the West has made her a strong advocate for boots-on-the-ground understanding of our landscapes. 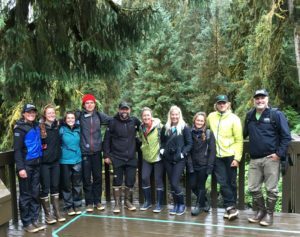 Erin is a co-founder of the Tatoosh School and serves as the school’s Programs Director. Katherine Wyatt is a researcher with the Natural Capital Project. As part of the Marine Team, she works to evaluate the ecological, cultural, and economic value of coastal resources. Katherine previously worked with the USFS Pacific Northwest Research Station assessing the vulnerability and adaptive capacity of western forests to climate change. 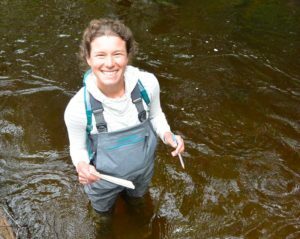 She received a MS from University of Washington’s School of Environmental and Forest Sciences and a BA in Environmental Studies from Lewis and Clark College. Katherine is a guest lecturer and serves on the School’s Board of Directors. John Yeager (far right) moved to Wrangell, Alaska in 2004 after retiring from a lengthy career in the US Coast Guard. He is the co-owner of Alaska Charters & Adventures with his wife Brenda where he is a fishing guide and boat captain. Currently, John sits on several Fish and Game advisory boards including the Southeast Regional Advisory Council for the Federal Subsistence Board, and the subsistence seat for SSRAA (Southern Southeast Regional Aquaculture Association), which oversees salmon hatcheries in Southeast Alaska. 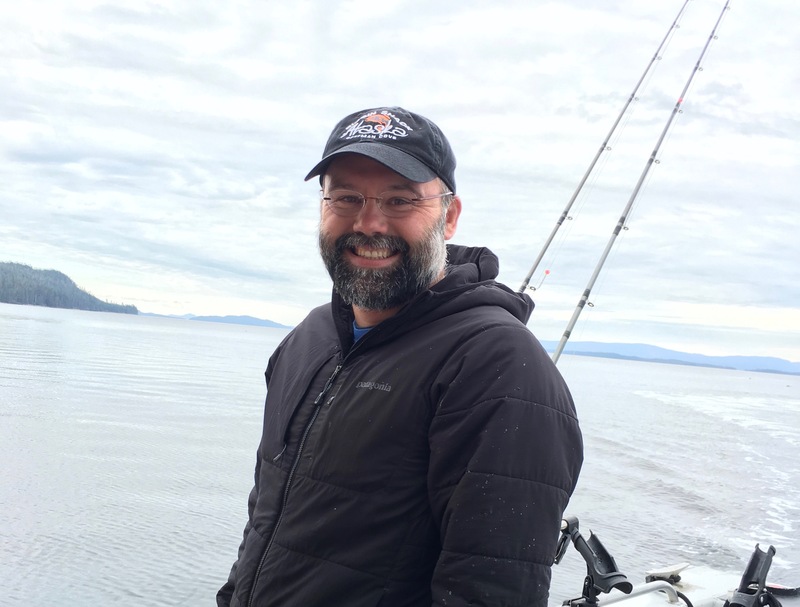 He is also involved with the Wrangell Fish and Game Advisory Committee and fills an elected seat on the Wrangell Port Commission. John is a guest lecturer and serves on the School’s Board of Directors. Contact us in Portland or Coffman Cove.